If you haven’t heard of Eristica, I challenge you to do something to fix that. After all, with 1.2 million millennial users around the world who are earning cryptocurrency for accepting peer-created challenges on the video platform, it’s worth investigating. We sit down with CEO Nikita Akimov to learn more about this blockchain startup operating in the FunTech space. 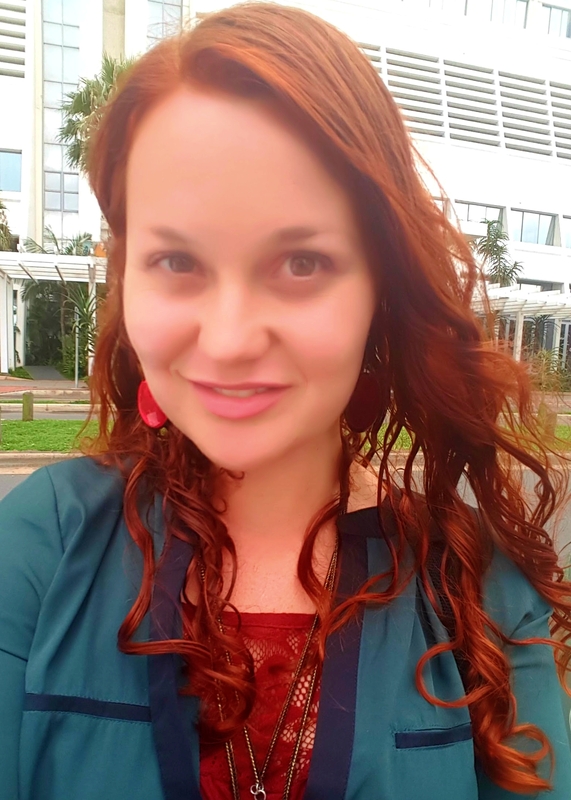 Asimov is a graduate of the Department of Mathematical Methods of Economic Analysis at Moscow State University and Mobile Only Accelerator (MOX), the #1 startup accelerator in Asia. Prior to starting Eristica, he worked for the largest coal company in Russia and for a private investment bank. When he’s not at his day job creating a rockstar product, he’s an avid musician and performs with his own band. Eristica is a P2P platform where users take on challenges, film them and can win cryptocurrency for doing so. The project was launched in 2015 and has already got more than 1.2 million users. The platform enables each participant to launch and accept challenges, provide video footage of challenges completed and get ratings based on the results. 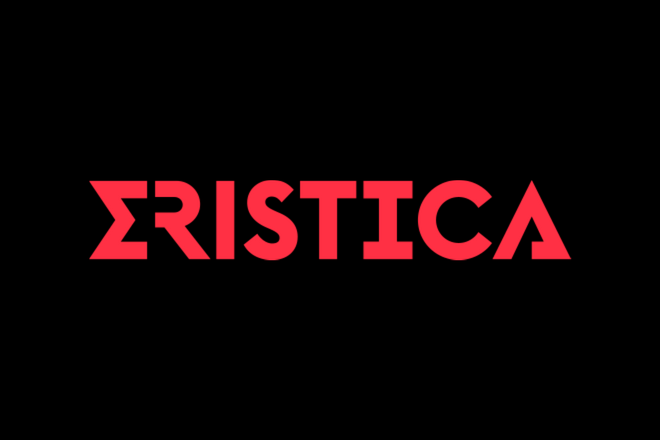 Eristica users can also generate viral content with videos of challenges by getting millions of views, the winners often becoming stars. The system of crypto-rewards, ratings, reputation and ranking creates a powerful incentive for active participation. Competitive incentive makes players fight for top places in the ratings in the quest for fame and prizes. We try to create a full-fledged crypto-economy, in which tokens are the main tool for all interactions within the digital ecosystem. Eristica creates a platform where completely different audiences can interact with each other, creating synergy at the same time. The young audience of Eristica, who had no experience with cryptocurrency before, gets an opportunity to try the products and services of the crypto-industry within the platform. This will create a new inflow of users and speed up the process of introducing cryptocurrency into the masses. How did you come up with the idea for Eristica? It’s an amazing story! In 2014, Artem Dalevich and I had a bet — whether I would learn 15 guitar solos in only a couple of weeks. The stake was a box of Scotch whiskey Chivas Regal. We posted that challenge on social networks, and our followers started to comment on it, then requested video proof of my challenge where I was playing those solos. Then we realized that it was actually a great idea to create an app where people could challenge each other and provide video proofs. So this is how the main idea of Eristica came about. What is FunTech, and why is it so popular? Penetration of the internet technology in the entertainment industry created a new market called FunTech. This market became popular because it’s the largest and the fastest growing industry on the Internet. The audience of YouTube stands at over 1.5 billion registered users and is still growing with each passing day. On average, users spend 40 minutes a day watching YouTube videos. This is what drives massive penetration of new, cool technologies into this space and makes the industry even more fun and engaging. Your whitepaper outlines the motivation behind, and history of, bets (challenges). What is it about bets that make them so appealing? I prefer the word “challenges” because it has much more behind it than “bets”. Let me give readers a little note about it. From time immemorial, people have been making bets and challenges. Even in ancient times (Cleopatra bet) and throughout modern culture (“Around the World in 80 Days”, “The Gambler”, “Star Wars”, etc). Decades ago, with the advent of the MTV era and shows such as “I Bet You Will” and “Jackass”, the industry of challenges was transformed. Bets were replaced by personal and group challenges that became very popular among young people. “Jackass”, for instance, was rated 68th of the top shows of the past 25 years. Then there was the emergence of YouTube, which set a new stage in the development of challenges. Everyone could now become famous—by just performing a crazy task, recording everything on a smartphone and putting the video on the Web. Videos with new challenges get millions of views and likes, making their authors YouTube stars and motivating new players to challenge the winners. So for the actual daredevils, the most appealing thing is routed from the unconscious desire to outplay your opponent and be the winner, show off. I guess every case has particular reasons behind it though. And for the watchers the reason is even simpler: panem et circenses! What are some of the pain points faced by online personalities in the FunTech space, and how does Eristica provide solutions to those challenges? We make a new mixed social product, which brings people a lot of fun and awesome emotional experiences. Solving those problems is not easy, but we try to make the most outstanding product which has viral content and entertainment, exclusive local user-generated content, integration with cryptocurrencies and of course the blockchain. We believe those cake layers are crucial for making the FunTech a more engaging place. We’ve been hearing buzz for years about video being the future of online content consumption. Do you see this change coming about anytime soon? Oh definitely! Since we’re more involved in the Asian market now, I can say that the online video industry here in 2017 was estimated to be worth US$13 billion. And the share of challenge videos is approximately 4%, or US$510 million. And it’s expected to grow up to US$35 billion by 2021, with a US$1.4 billion share of Video Challenges, respectively. This is a huge shift that we’re experiencing, and we definitely want to be on the cutting edge of this development. Why was it important to use blockchain technology to undertake this business? I think it was just a matter of time. Blockchain prevents users from fraud and disputable situations. In case of a fake video or an opportunistic opponent, the community becomes a legitimate judgement system, which is 100% decentralized. So in our case that technology helps to solve many pain points. Why bring cryptocurrency into the business model? Using fiat currency for our type of project implies many moral, financial and legal issues. On the one hand, it’s more common and intuitive. On the other, users would have to pay >10% fees for making the transaction, and they would have to wait for actual money to come into their checking accounts for several days. Imagine having a US$50 challenge with a friend, but in order to undertake it, you have to give up US$55. Doesn’t seem fair, right? Cryptocurrencies make those transactions truly peer-to-peer; you get your rewards immediately, and no one can block it or ask for refunds. So by doing that we actually make users’ lives easier. Eristica has, to date, won numerous competitions. As a result of these experiences, what are some of the key takeaways you have learned about getting started in the blockchain industry? To be honest, we have learned that you shouldn’t be afraid of anything; you should learn all new things in the crypto world very fast because everything’s changing so rapidly. Meet as many new people as you can and search for partners because with the help of a good one your business is almost guaranteed to go faster and better. Preloads on smartphones in Southeast Asia and India are scheduled for Q1 2018. What will this entail? We’ve partnered up with many OEMs in Southeast Asia (SEA) and India with the help of SOSV. This means that usually when you want to get users, you pay Google and Facebook because they allow you to promote your thing on their platforms. In this case, we don’t pay anything to third-party platforms—we approach users directly via their phones. So when a user purchases a Micromax smartphone in Delhi (for example), he’d already has Eristica on that one. Why kick off with a focus on SEA and Indian markets? Has entry into these markets posed any specific challenges? If the world has become a global village, why is localization still so important? We have changed our focus because in Russia we have a capped market, which is limited by only 80 million internet and smartphone users. That doesn’t seem to be enough for an app like ours. In the SEA and Indian markets, we have the unfair advantage of partnerships with SOSV and MOX accelerator, which helps us get pre-install deals. And the most important thing is that this market literally has no constraints and will have 1.5 billion users by 2021, making this is an incredibly attractive opportunity. We had some challenges with localization, for example, because the word “challenge” has different meanings in different languages, and we had long-lasting communications with native speakers from the SEA countries and India (which has more than 12 dialects!) to make the correct translation. Localization is so important because in this region users prefer local content than the American one, and this is validated by our experience which we got during the MOX acceleration. How many registered users do you have to date, and who is your main target market? We managed to attract more than 1,100,000 users from the CIS [The Commonwealth of Independent States include Armenia, Azerbaijan, Belarus, Georgia, Kazakhstan, Kyrgyzstan, Moldova, Russian Federation, Tajikistan, Turkmenistan, Ukraine, and Uzbekistan] countries and 100,000 users from India and Southeast Asia. What are some of the most exciting use case you see in Eristica’s future? How and when will wallet integration take place? We can’t point out a concrete method, but we are working to ensure that integration goes seamlessly for our users. According to the roadmap, we expect to A/B test it in Q1 2018. What is the purpose of your Game API, and what possible integrations do you foresee? This is a simple and easy-to-use piece of software that makes it possible to integrate Eristica services into games on various platforms. Gamers can win Eristica tokens (or the currency of the game) in challenges with friends and spend them on in-game purchases right after that. We’re willing to partner up with game publishers and create a universal challenge ecosystem for the gaming community—which, by the way, is not properly monetized as of today. In your opinion, how is Eristica aiding the mass adoption of cryptocurrency? Most crypto-projects are too complex for an average audience (supercomputers, fog computations, financial institutions, legal services). At the moment, there are very few projects that would be functional and easy for the masses. And since the entertainment market is something that touches almost everyone, we thought that it’s actually a great opportunity to use crypto in this space. We provide a fun, gamified experience, combining it with the future of money. Isn’t it great? From a technical perspective, you recently made the call to move Eristica away from the Ethereum blockchain and onto BitShares. Can you talk about that decision? We are going to move from Ethereum to the Graphene blockchain because it’s much more suitable for us technologically. Every time a user calls a smart contract he must pay a transaction fee for it. It is a fairly large amount. We don’t want to force our users to pay for what they can do for free. The Graphene protocol allows content producers to make challenges for a minimum price that is close to 0. Moreover, Graphene’s transactional delays are incommensurably low compared to Ethereum. This has encouraged us to partner up with Cryptonomex founders Stan Larimer and Michael Taggart so that they will support us from a technological point of view in this matter. We are very happy and proud that they responded and became a part our team. Who makes up the Eristica team? Most of the team members are based in Moscow, others are around the world (Kazakhstan, New York, Singapore, Shanghai and Sydney). Aside from the 4 founders, we have developers, content managers, video editors, PR guys, copywriters and analysts. And I believe our success is the result of the joint and diligent work that I see every day. Founders are Nikita Akimov (CEO), Artem Dalevich (CMO), Andrey Sheludchenko (CTO), and Valentina Ivashchenko (COO). Another huge part of the team is advisors and mentors. I’d like to mention Stan Larimer (co-founder of BitShares, Steemit, Cryptonomex), Evgeny Tchebotarev (co-founder of the largest photo community 500px) and William Bao Bean (general partner at SOSV). As a team, do any of you take part in challenges yourselves? Sure we do! You can even see the video proof of the mannequin challenge that we did last year with our team in the office. What are some of the most popular challenges on Eristica? The most popular is a classic one: to smash an egg over your head. There were many outstanding ones though, performed by professionals. My favourite one is the one where 2 guys had to make an omelette on a guy’s back using a flamethrower. Check it out in the app—you’ll love it, though it sounds weird. There were so many, it’s hard to remember a single outstanding one. But I would point out the one which stands behind the idea of Eristica—learning 15 guitar solos in 2 weeks requires a lot of effort, haha. What would you never do, no matter the amount of crypto thrown your way? I would never betray someone. In bringing Eristica to market, what is most important to you? User satisfaction. We try to build the platform in a cozy way so people would love to come back and spend their spare time here. In other words, we pay a lot of attention to UX and analytics. What are Eristica’s big goals for the future? We are confident that Eristica will be at the top of the most interesting platforms related to entertainment and cryptocurrency. Right now, there’s only a small group of people who understand what blockchain is and what doors it opens. Eristica is now a pioneer in making cryptocurrency mass adopted via the most time-consuming thing—entertainment. I guess in the next 5 years, this technology will become the same thing as the Internet is now—easy-to-use, widespread and cheap. The constantly growing FunTech industry is a perfect match for blockchain implementation, and it too will become something generic in the future. So we are confident that the popularization of our project will give a good boost and opportunities for other FunTech products in that field. Also, we have the Game API and we will definitely make a move in this space, which will open the way to the US$100 billion gaming industry. Eristica’s ICO ends on February 7, 2018. Join their Telegram group to get involved, read more about the project on Bitcointalk, or follow them on Twitter. The Eristica app is already available in app stores.